At 21 years old, new comer to the 2015 GRC Lites lineup, Collete Davis, not only set history by becoming the first female to lead a lap in Red Bull GRC,but was also the subject of a scary and unfortunately on track incident during the GRC Lites final this past weekend. 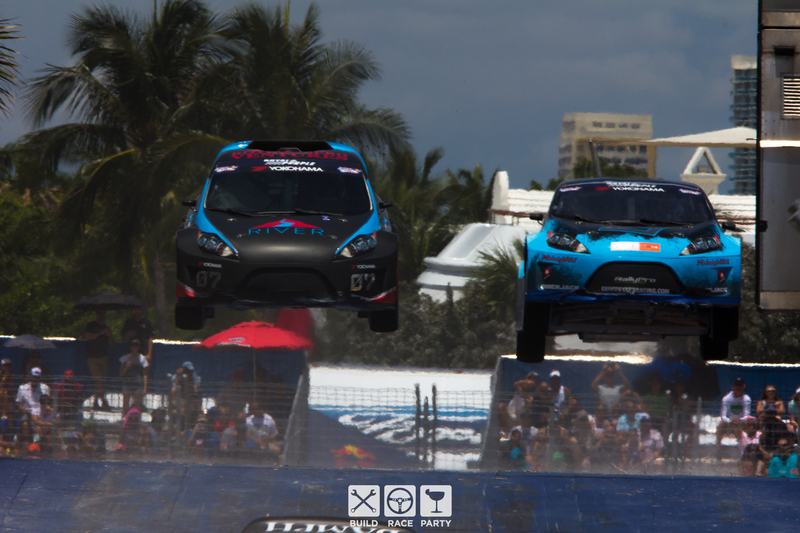 After battling through the first three laps of the race in 4th, Davis was pushed off line entering the iconic Red Bull GRC jump, and ultimately driven off track my her competition. 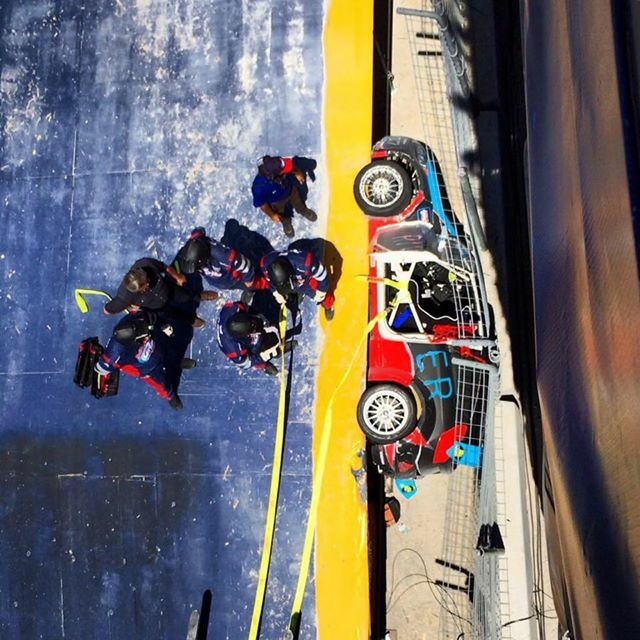 Upon hitting the side of the ramp, her car became wedged on its side between the ramp and catch fence, directly in front of the officials tower. 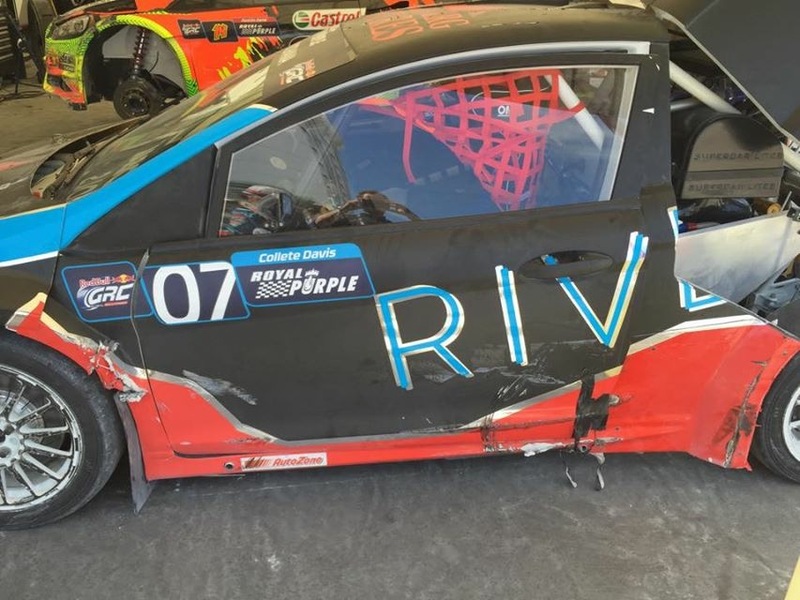 After being extricated from her car, Davis waved to the crowd and was attended to by the Red Bull GRC medical director. After nearly an hour the safety team was able to un-wedge and pull the car to a runoff area. The race was subsequently red flagged and rescheduled following the Supercar final. 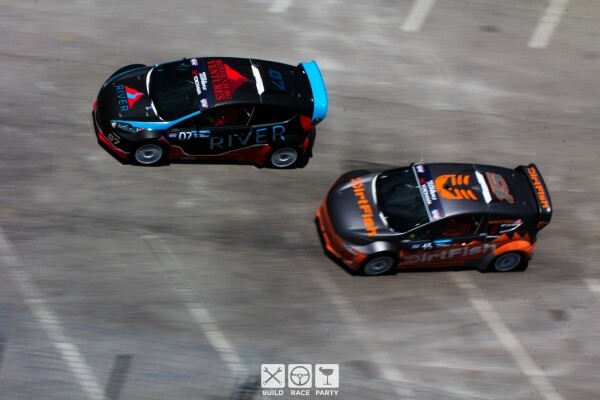 As Davis returned to her pit, her mechanic Steve Burrows, explained that he was going to go and attempt to find the car, and that his goal was to get her back in the restart of the race following the Supercar final. Davis’s reaction was essentially, “hell yeah, let’s do this!” Burrows jumped on a random minibike sitting near their pit and rode around the outside of the track in an attempt to find the car. Sitting just up the road on A1A parked behind a hotel, the car was pretty badly damaged, however it still had all four corners attached. Burrows escorted the tow truck the long way around the circuit, honking through the crowd on the way back to the pits. 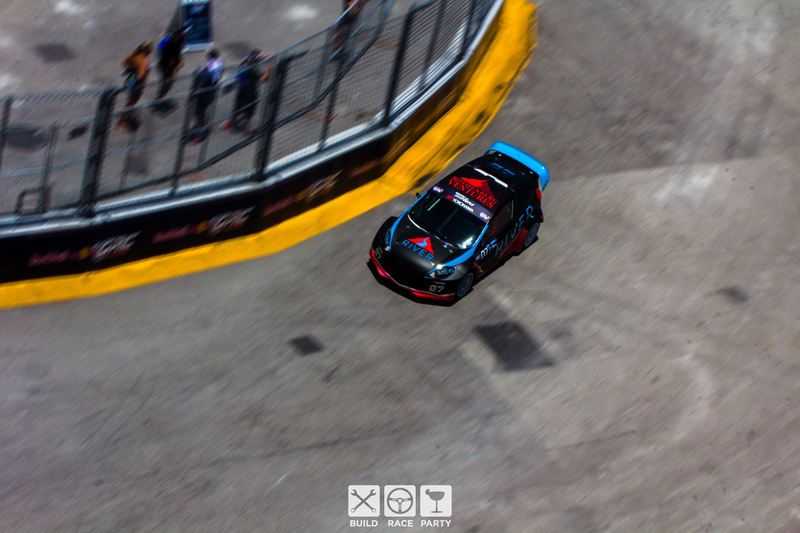 As Supercar final was taking place, Burrows was in the pits alone and requested the flatbed driver to help get the car down. As soon as the nose was on the ground Burrows jumped in and magically, the car fired up right away! As Burrows exited the mangled car, he immediately asked Davis to get suited up as he began to work on repairing the damage. The River Racing team went to work and even BHRS team owners Bryan Herta and Sean Jones, and Supercar driver Patrik Sandell, suddenly showed up and began to help bend back pieces of the mangled car. The suspension on two of the corners were bent up pretty substantially, while one corner was broken entirely. As Burrows and Herta worked to pull the suspension apart, Nick Franzosi, ran to find replacement parts. As the team worked to get the car drive-able, a huge crowd began to gather and cheer them on, other crew members began to show up and started lending a hand, belting Davis in, taping the doors shut and tightening loose bolts. 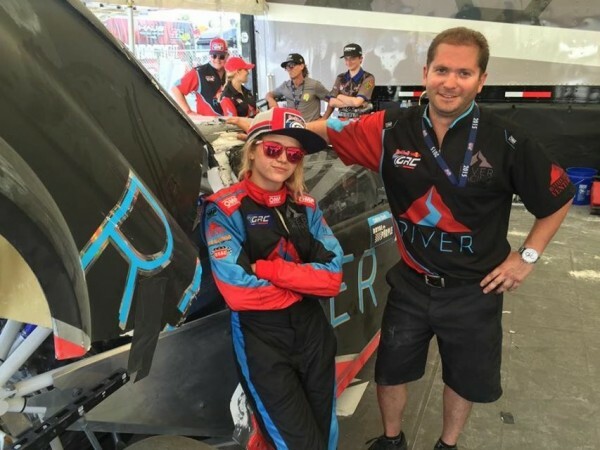 As competitors began rolling past the pit towards the start line, Davis backed out of her pit, threw the car into 1st gear, and the crowd erupted with applause. The car still limping, made the starting line just in time! As the lights turn green, Davis launches and immediately takes three positions. 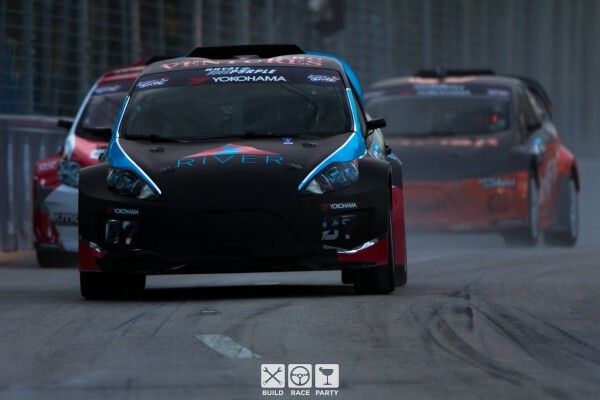 However, suddenly on the second lap of the race, the duct tape holding the passenger door shut gives up, resulting in a black flag, ending their event. “I just wanted to see it finish, and if it weren’t for that duct tape she probably would’ve had a top-5. Bottom line, don’t ever give up!” Burrows stated following the event. The amount of dedication shown not only by Davis and Burrows but the entire River Racing and Bryan Herta Rally Sport team is one that will be remembered throughout the remainder of the 2015 GRC season.